nice, courteous exterminator. Couldn't ask for better! Jamie Harrison (our Active guy) is doing a phenomenal job. He services our home monthly and each time brings great customer service, attention to detail and a knowledgeable response to all of my questions. Active is so user friendly and customer focused. When you have a question they are very responsive. Couldn't be happier!!! Great service as always and very polite. Great company and great employees. Anytime I have any questions or issues, it is addressed immediately! Work and communications done thoroughly and professionally. I've been a customer of Active for 1 year. They are very reasonable on their pricing, and they are very thorough and professional. I have met several of their techs and manager, and they are ALL awesome! Kudos to Active! The service is great. Our technician Russ does an amazing job. James dose an excellent job. 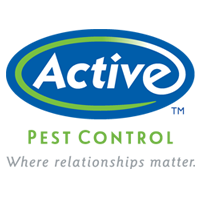 Excellent and prompt service, great emergency response, Active does everything I need to keep my residence safe from pests all year long! Punctual. Seems to be thorough..
Our technician Michael is absolutely outstanding!!! I honestly have never seen a service person care so much about their client as much as Michael does!! Excelente trabajo y muy buen precio. Great job and good price. The guy who came this time was very friendly and very thorough. From the initial contact with Meagan in the office, to the visit from Dub, your sales manager, to the first field visit from Mark, the technician, and right on to the follow up visit by your service manager, Stacie, I am discovering that “Active” is comprised of extraordinary people. So far so good. Howard. Great service. Inspector came in and saw me battling the ants and immediately started assisting without any hesitation. They’re very thorough, extremely polite, have wonderful customer service, and they are more than willing to walk and talk you through the process of everything it is that they’re doing. They’re affordable and they go above and beyond for the price that they charge. Been really pleased. There are no mosquitos, Thanks. Very well pleased with the service we got and the agent was very polite. I appreciate the care that is given to my home. I have a request . The sticky flat green thingys I would like more placed around the outside of my home. My only complaint is...That your service man never leaves any insect traps...Pls correct if you can....Thnx B Bortles. If I was answering this question a few weeks ago, my answer would be a direct flat no. However, someone at your company stepped up and made a bad situation good. That didn't go unnoticed by me at all. Anthony was professional and explained everything to us! Great, reasonably-priced service. Always on time. Very positive, professional employees. The service is very professional and timely. We are contacted when service techs are coming and what they did around our home. Only have the Termite Service. Our technician Stacy was very helpful very polite and very thorough. No complaints and service has been for 34 years. Termites eat bait sticks and not my house. That's how it is supposed to work. Automatic checks throughout the year on bait system performed and report found on door. The techs are awesome, prices are reasonable, and they promptly come out when requested! They completed an extensive inspection and estimate for our purchase of a home in a timely and very professional manner. Would HIGHLY recommend considering Active Pest Control (Ryan York) for your pest control needs.